"... I would like to share impressions from Prof. Graeme Jameson’s visit to Dresden and Freiberg last week from Wednesday night until Friday morning. Noteworthy are his meetings with older flotation experts in Freiberg besides us from Helmholtz-Zentrum Dresden-Rossendorf showing him our recent flotation research topics at the Institute of Fluid Dynamics (Prof. Kerstin Eckert’s labs) in Dresden and the flotation labs at the Helmholtz Institute Freiberg (HIF). Below is a picture of Graeme (81) with Prof. Heinrich Schubert (91) at Schubert’s place. 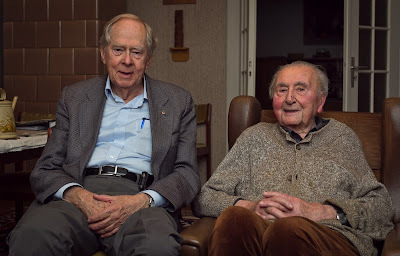 The other picture shows Graeme with Horst Plate, a former member of Dr. Hans Joachim Schulze’s group at the FIA in Freiberg. Graeme discussed theoretical aspects of detachment mechanisms with him after he was looking for some of his references in preparation of a review article. It was great to have had him as our guests. We had him stay at a wonderful Dresden vineyard castle founded by British industrialists in the 19th century and enjoyed a great dinner at the famous Schiller Garten restaurant in Dresden. His approach to scientific and technical tasks including very philosophical mindset is a very impressing example of a personality to us. I feel very humbled to have the opportunity to learn from those people. With that being said I also would like to thank you again for a wonderful Flotation conference in Cape Town. It would not have been possible for me with Flotation’13 and ‘15 to get to know the community that well and interact with the people, for until my PhD I have been active in an entirely different scientific community". Thankyou for sharing this Martin. 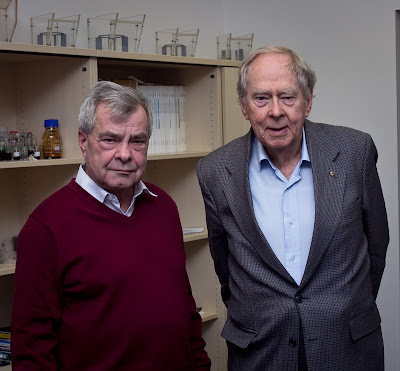 As I mentioned in my posting of 13th November, Graeme Jameson is truly inspirational; a great scientist who is also great company- the MEI team will always remember eating pizza with him a couple of weeks' ago in the Cavendish Mall close to the Vineyard Conference Centre! 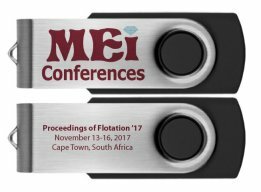 Flotation '17 the 8th in MEI's series of flotation conferences, was held at the Vineyard Hotel, in the leafy Cape Town suburb of Claremont, South Africa. 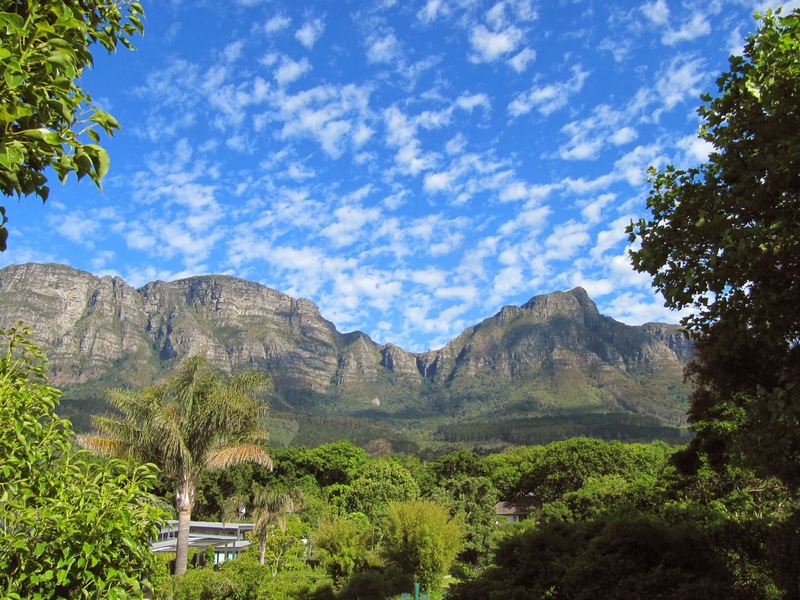 with its stunning view of Table Mountain. Below is a report on the event, to which we invite comments and suggestions. I opened the conference this morning, welcoming the first of the week's 262 delegates from 30 countries to the first of the two day symposia- Fundamentals, and thanking our sponsors for their support. I briefly talked (posting of 13th November) about how flotation has evolved in the 113 years since Elmore's patent in 1904. Modern computers have transformed the way we understand, simulate and optimise flotation processes, and the power of modelling was highlighted in the first session of the conference. Roe-Hoan Yoon (posting of 14 August 2017) is an IMPC Lifetime Achievement Award Winner and a University Distinguished Professor at Virginia Tech, USA. He is a world-renowned expert on modelling, and his keynote lecture Developing a Flotation Model from First Principles (posting of 13 June 2016) set the scene for the complex and highly specialised papers that followed, exemplified by Nikolay Evseev, of Schlumberger Moscow Research, Russia, who spoke about the modelling of flotation processes by density functional hydrodynamics. Following this, Anna Sommer, of Helmholtz-Zentrum Dresden-Rossendorf, Germany, described a novel method for the measurement of flotation recovery by means of 4D particle tracking velocimetry. Froth behaviour has a major impact on the overall performance of flotation cells, with the froth controlling the water recovery and entrainment, as well as having a significant impact on the recovery. Froth stability, including bubble coalescence and the bursting of the bubbles at the froth surface, are the key drivers of froth performance. Even though the froth stability is hard to directly control, it is important to understand how this stability impacts froth performance parameters such as the water recovery, entrainment and froth recovery. Stephen Neethling, of Imperial College, UK, showed how a theoretical understanding of froth behaviour based on foam physics can be used to link stability to performance. Stephen is one of 6 six researchers from Jan Cilliers' excellent group at Imperial College who will be presenting papers this week. The University of Cape Town is only a few minutes from the Vineyard Hotel, and a delegation of 14 of the flotation group is here this morning. 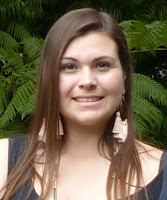 Kirsten Corin was the first to represent the group on the podium, and she showed that, considering the importance of bubble formation and bubble-particle attachment, it is evident that the pulp phase facilitates the events for the most crucial requirements of a successful flotation operation. Water forms the bulk of the pulp phase, and as a result of water scarcities in countries like South Africa, the need to recycle process water within mining operations is increasing. Hence it is of great importance to understand the effects of water quality on the vital sub-processes within the flotation process, particularly bubble-particle attachment. Kirsten evaluated the floatability of selected sulphide minerals with reference to their propensity for attachment to bubbles under deteriorating water quality. After such an intensive start it was good to take a break in the exhibition area, to talk to the exhibitors and view the Fundamentals posters on display. Turkish company Ugur Seluloz Kimya A.S. was established in 2001 and is exhibiting for the second time at an MEI Conference. It has two production plants and is one of the leading developers and manufacturers of sodium carboxymethyl cellulose and polyanionic cellulose. American company REXA's Linear Actuators have hydraulic stiffness and accurate dart valve positioning required for controlling tank pulp levels and producing higher recovery rates of the desired mineral. When installed, plants are enabled to be protected against adjacent cell slurry surges and increase process stability with improvement of dart valve position control; which in turn improves productivity due to higher launder mineral grades. Suitably refreshed it was back to the conference with Bertil Pålsson, of Luleå University of Technology, Sweden, discussing the implications for flotation of nano-entities for surface modification of minerals, followed by Kari Heiskanen, of Aalto University, Finland, who discussed how bubble size distributions affect the physical performance of flotation. Michael Moys, of the University of the Witwatersrand, South Africa, then showed how bubble size distribution in flotation froths can be measured. This is important as most valuable products produced by flotation pass through the froth phase. Most research into flotation has however been focused on the pulp phase but the froth phase has attracted more research in recent times. The complex processes that occur in the froth phase – detachment, re-attachment, coalescence of bubbles, and competition for attachment sites, mixing and transport all combine to affect the net transfer of mineral particles into the concentrate. As Sascha Heitkam, of the Technical University Dresden, Germany, pointed out, the flowing behaviour of liquid foam and froth is rarely investigated, one reason for this being that no adequate measurement technique exists. However, industrial flotation applications could be improved by monitoring the froth flow in the process, and Sascha showed how Ultrasound Doppler Velocimetry has been used to measure the velocity distribution inside a liquid foam. The heat of immersion is a very sensitive measure of the heat produced when a liquid, such as water, interacts with a dry mineral surface. The extent of the interaction is dependent on the polarity (or wettability) of the mineral surface. This technique has had little application in the mineral processing literature and was introduced by Jestos Taguta of the University of Cape Town, South Africa as a potentially useful tool in characterising mineral surfaces with relation to their floatability. In the final paper of the morning Hoang Duong, of Hanoi University of Mining and Geology, Vietnam, discussed the challenges in process mineralogy and impact of hydrodynamics in the flotation study of a fine grained carbonaceous sedimentary apatite ore.
Positron Emission Particle Tracking (PEPT) is proving to be a very important tool for analysing and rigorously interpreting experimental data of the behaviour of hydrophobic and hydrophilic particles in flotation systems. Imperial College are at the forefront of PEPT research, and in the first presentation of the afternoon Pablo Brito-Parada showed how a continuous steady-state bench scale flotation cell has been used to assess the impact of operating conditions and design parameters on flotation performance. 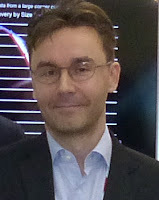 Lev Filippov, of Université de Lorraine, France, then discussed methods of controlling bubble size in flotation columns, which was followed by a short break due to a "no-show" by a scheduled author from the Indian Institute of Technology. Turbulence plays a complicated role in froth flotation: it is desirable because it helps to promote bubble-particle interactions in the pulp, and to increase the specific surface area of the air bubbles introduced into the tank, but it is undesirable because it also promotes the detachment of valuable mineral particles from bubbles, and exacerbates entrainment-inducing mixing at the pulp-froth interface. 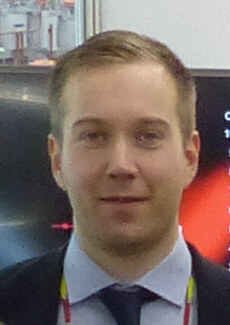 In the third paper of the day from Imperial College, Angus Morrison described an experimental program which was undertaken to optimise the performance of an easily-retrofittable froth phase insert designed to isolate the froth, and the pulp-froth interface, from the effects of pulp-phase turbulence in a laboratory-scale froth flotation tank. During the break Amanda was chatting to Ibrahim Ayoub of Continental Engineering Services Australia & Africa, the Australian and African arm of Continental Industrie, a French based company with over 40 years experience in air displacement technology. 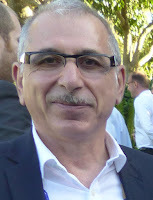 Specialising in the engineering design, fabrication, supply, maintenance and commissioning of fluid displacement machinery and associated pipework and structures, Ibrahim told Amanda that the company was excited to be part of Flotation ’17 to showcase its multistage centrifugal blowers, and introduce its new turbo blowers, specially used for the delivery of air for flotation plants. 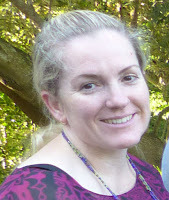 In the first presentation from Australia, Liza Forbes, of CSIRO Mineral Resources, showed how the type of pyrite, the most common sulphide gangue mineral in base metal sulphide ores, affects the electrochemistry of chalcopyrite/pyrite interactions. Margeth Tadie, of Stellenbosch University, South Africa, then discussed the role of redox potential in the flotation of galena, and in the final paper of the day Bent Babel, of the Helmholtz Institute Freiberg for Resource Technology, Germany, showed how mineral wettabilities on a microscale can be characterised by colloidal probe atomic force microscopy. After a long and intensive day, with some cutting edge papers, it was good to relax in the Vineyard gardens and enjoy a glass or two of wine in the first of the conference "happy hours". We always welcome a few visitors to the happy hours, and this evening we entertained Prof. John Ralston and his wife Ann, who are holidaying in Cape Town. John was particularly pleased to meet up with his recent hosts from China's Central South University. Also welcomed were Gaynor Yorath and Prof. Sue Harrison from nearby University of Cape Town. Sue is MEI's consultant to Biohydromet '18. Following the happy hour, delegates dispersed to various parts of Cape Town. The MEI team strolled over to the nearby Cavendish Mall for pizzas in the pleasant and entertaining company of Graeme Jameson. More on day 1 in the posting of 13th November. Not the usual view from the conference centre this morning. Capetonians have been praying for desperately needed rain, and this morning they got it, so it was a relief to be indoors for the day's sessions. Many challenges still exist with the development of precise and accurate predictive models for froth flotation. Most state-of-the-art models are based on the two-compartment model, which includes entrainment; however, these models have difficulty in separating the role of froth zone recovery from collection zone recovery. As argued by Richard LaDouceur, of Montana Tech, USA, it is perhaps for this reason that modern, commercially available flotation models are still not capable of predicting some important phenomena that occur in industrial mineral flotation plants. A growing body of evidence is emerging that suggests the key to resolving these difficulties may lie in improving our understanding of the mass transfer and turbulence phenomena occurring at the interface between the dynamic collection zone and the relatively static froth zone. and Richard reviewed the evidence supporting the incorporation of the interface and proposed a model structure for a “three compartment” flotation model. How saline water affects the adsorption behaviour of surfactants on solid-liquid interfaces and subsequent mineral flotation is still unknown despite the widespread application of saline water in mineral flotation. Ziyong Chang, of the University of Queensland, Australia, presented a comprehensive review on the adsorption behaviours of surfactants in saline water based on research findings, guiding the application of surfactants in mineral flotation using saline water. It is good to have the worlds largest mineral processing university, China's Central South University, represented at the conference, and Guangyi Liu discussed the new understanding of the molecular design of flotation collectors, their flotation mechanism and green manufacture which will boost their future development. This was followed by a presentation by Daniel Chipfunhu, of BASF, Australia, who described a new range of frother formulations that have been developed by BASF, the trend towards more complex and low grade ore bodies requiring increasingly specialised flotation reagent suites to deliver the required separation efficiency of the valuable mineral from the gangue, and to maximize concentrate grade and recovery. Daniel is one of 7 representatives of BASF, from offices in Australia, Germany, Russia and Turkey, and his paper was one of three to be presented in the technical sessions, a fourth being presented as a poster. BASF has a very high profile at this year's conference, sponsoring and exhibiting for the first time and presenting its new frother range and collectors for sulphide and non-sulphide flotation at the booth. The international team of flotation experts centres around Dr. Bettina Sobotka, the new head of Segment Flotation in BASF’s Mining Solutions. Thiosulfate ions are formed during the processing of sulfide ores. They have a detrimental effect on flotation, resulting in recovery and selectivity problems. Yasemin Öztürk, of Hacettepe University, Turkey, showed how oxidation by hydrogen peroxide was used to mitigate the negative effects of thiosulfate on the flotation performance of a Cu-Pb-Zn sulfide ore.
During the break I caught up with Joe Felix and his son Travis, representing CiDRA Minerals Processing, a regular exhibitor at MEI flotation conferences, again exhibiting its SONARtrac® wrap-around the pipeline flowmeter system which measures both flow volumes and percentage air present in the pipeline. Also on view was their latest product offering, the CYCLONEtrac™ Particle Size Tracking system (PST), which enables real time reliable particle measurement for optimization of classification circuits at the individual hydrocyclone level, helping to reduce process upsets, improve closed circuit grind and classification, and maximize mineral recovery. Clariant Mining is a worlwide company, with its South African, French and Brazilian offices represented at the conference. Linda Mahlangu, of Clariant Southern Africa reviewed the potential of phosphoric acid esters for the flotation of oxidised copper minerals. Low grade oxide copper mineral flotation dates back almost 70 years. In the 1960’s the process involved 2 basic flotation methods (i) fatty acid flotation of oxide copper minerals and (ii) sulphidization of oxide copper minerals followed by flotation using sulphydryl collectors such as xanthates. Over the years the use of fatty acids to concentrate the copper oxides lost its popularity, with most operations preferring the controlled potential sulphidisation method. Linda showed how phosphoric acid esters, which have proven effective in selectively floating carbonates in the reverse flotation of phosphates, can be used as alternative collectors for oxide copper mineral flotation, particularly for carbonates such as malachite. It is good to have three representatives from Kyushu University, Japan. G.P.W. Suyantara described a study on the effect of a mixture of hydrogen peroxide and ferrous sulfate on the floatability of chalcopyrite and molybdenite. He showed how oxidation treatment using hydrogen peroxide can be improved by the addition of ferrous sulphate. The employment of environmental-friendly, sustainable, and renewable chemicals in industrial processes is being demanded more and more. An interesting and promising resource is cellulose which can be treated chemically and mechanically to incorporate specific functional groups and organic components into the cellulose structure and reduce the size of fibres down to nanoscale. The modification of cellulose leads to tailored properties enabling the application of cellulose in several processes, however, the modification is expensive and time consuming. Robert Hartmann, of University of Oulu, Finland, presented a study focusing on the efficiency of hexyl amine cellulose for the flotation of quartz and the recovering of the cellulose using a simple pH treatment. A methodology that would help to find a correlation between the structure of surfactants and performance was discussed by Magnus Svensson of Akzo Nobel Surface Chemistry AB, Sweden. The methodology includes theoretical and practical evaluation of the surface properties provided by nonionic surfactants in systems where direct flotation of apatite is involved. It has been shown that only a combination of required frothing properties and good grade/recovery can ensure stable process at a large scale flotation plant. It was found that the type and degree of branching of the alkyl chain of secondary collectors significantly contribute to the frothing properties and the ability of primary/secondary collector formulation to wet the surface of apatite. Yangchao Xia, of the China University of Mining and Technology, described a molecular dynamics simulation study on the promoting effect of the cationic surfactants dodecyl trimethyl ammonium bromide (DTAB) and the oil collector dodecaneon on low-rank coal flotation. It was found that dodecane cannot be adsorbed tightly onto the coal surface and the interaction energy is very low, but the addition of DTAB enhances their adsorption. In recent years, the University of Melbourne and CSIRO have been investigating the use of temperature-responsive polymers as multi-functional reagents in flotation, featuring tuneable collector, depressant, and flocculant behaviours. These materials possess interesting thermo-switchable properties, displaying hydrophobic behaviour upon heating above the transition temperature, allowing the polymers to function as collectors. Below the transition temperature, the polymers instead exhibit hydrophilic properties, acting as depressants. Furthermore, the polymers are able to behave as selective flocculants for difficult-to-recover valuable fine particles, inducing the formation of larger aggregates more amenable to flotation, while limiting the slimes coating of valuable fines on coarse gangue particles. Liza Forbes, of CSIRO, took us to the lunch break by reviewing the advances made towards the study of these materials as thermo-switchable flotation aids. As well as presenting two papers, Liza Forbes, is manning the CSIRO booth, with Nee San Yap, showcasing the work performed by the Fluids Engineering and Intelligent Process Measurements groups. The latest developments in process instrumentation developed by CSIRO are on display, including the iORTM , an intelligent online rheometer; Wi-SEDTM, an automatic sedimentation and separation curve instrument; and the InterFloatTM an interface detection device for multi-phase fluids. In addition to the instrumentation, CSIRO is promoting the release of their new book – Clays in the Mineral Processing Value Chain. Pyrite is a gangue mineral commonly associated with valuable sulphide minerals, such as chalcopyrite, chalcocite, galena and sphalerite. The separation of pyrite from these valuable sulphide minerals by flotation is difficult due to the activation of pyrite by lead and copper ions added intentionally or dissolved from minerals. Following the lunch break, Rolf Lauten, of Pionera, Norway, showed how a type of biopolymer has been used to depress pyrite in chalcopyrite flotation, with little impact on the recovery of chalcopyrite. Seawater flotation is becoming a reality due to the shortages of fresh water. It is well documented, however, that the use of seawater for flotation is hard on molybdenite recovery and pyrite depression at the alkaline pH where copper rougher/scavenger flotation is being carried out. These difficulties are undoubtedly due to the mono- and/or divalent cations present in seawater at high concentrations, the mechanisms of which are not fully understood. Roe-Hoan Yoon and co-workers at Viginia Tech, USA, have studied the effects of KCl and MgCl2 on bubble-particle interaction using the force apparatus for deformable surface. This new force apparatus developed at Virginia Tech is capable of measuring both the hydrodynamic and surface forces affecting the bubble-particle attachment process. Several semi-soluble and soluble minerals are recovered by flotation. Examples of semi-soluble minerals include phosphates, fluorite, calcite, scheelite, barite and celestite, while the leading example of the flotation of soluble salts is the separation of sylvite (KCl) from halite (NaCl) in the potash industry. While the practice of flotation of these minerals is relatively well established, the mechanism of flotation is less clear. Ben Knights, of CM Solutions, South Africa, examined the mechanism of flotation of these minerals, and proposed a novel mechanism. Claudio Schneider of CETEM, Brazil, presented the results of a campaign aimed at characterizing flotation kinetic parameters with respect to particle composition. A special type of iron ore known as Compact Itabirite was chosen for the experimental work because it consists of essentially two phases, namely quartz and hematite which in turn have very distinct densities. The results showed that the rate of flotation and, consequently the capacity of the cells or columns, is controlled by the transport of the rising particles in loaded quartz bubbles. The measured flotation rate constants do not vary with composition thus demonstrating bubble transport control. The froth zone provides the primary means for rejecting the slimes from around the bubble-particle aggregates. While this conventional approach has generally been effective, performance can fall well short of what is possible due to froth instability, and difficulty in applying wash water to overcome gangue entrainment. 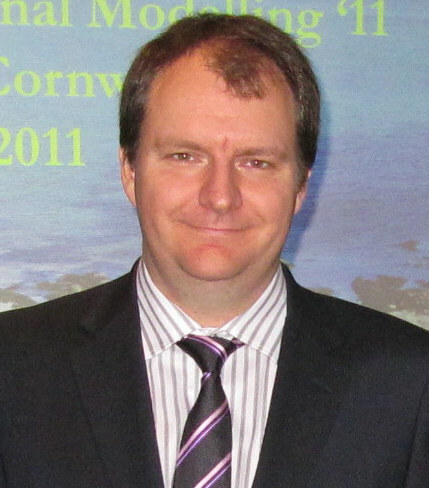 Jamie Dickinson, of the University of Newcastle, Australia, described the Reflux Flotation Cell (RFC), which incorporates an inverted fluidized bed of bubbles at a volume fraction of order 0.5, offering the potential to overcome such inefficiencies. This bubbly zone exhibits far greater permeability, permitting strong counter-current washing of the bubbles, and positive bias. Coalescence is also less prevalent. He described the application of a two stage RFC system to the recovery and concentration of a copper ore, examining the influence of the gas flux on recovery, for particles up to 355 microns. And so ended the Fundamentals Symposium, and another intensive day with relaxation this time provided at the conference dinner at Lagoon Beach, with its iconic view of Table Mountain across the bay. Despite the inclement weather, it was a very enjoyable evening with great food, wine and entertainment, and most importantly, great company. More on day 2 in the posting of 14th November. Jon Wills opened the Applications Symposium this morning, after which we were pleased to welcome Bill Johnson, of Mineralis Consulting, Australia, making his debut at an MEI Conference, and presenting a keynote lecture on existing opportunities for increasing metallurgical and energy efficiencies in concentrators (posting of 15 August 2016). David Bulled, of SGS, Canada, asked the question "forecasting flotation plant results – how precise is that?" A variety of data of variable validity is frequently used by the forecaster, but precision is rarely questioned. David's presentation attempted to examine the risks in the production forecast, i.e. the sources of error and uncertainty in the data, and showed the potential precision of the outcome from one case study, involving a geometallurgical approach to characterisation of the ore to be treated by testing numerous samples and using the data to estimate flotation parameters for individual mine blocks. Plant trials routinely involve performing various experiments ranging from testing the performance of a new reagent to assessing the potential of a different circuit configuration. Such trials are highly valuable for continuous improvement in flotation plants. However, the inevitable presence of measurement uncertainty raises concerns about risks related to decisions made upon their completion. Simon Gariepy, of Algosys, Canada, discussed how metal accounting can improve the efficiency of such plant trials. Geometallurgy is a structured approach to integrate various aspects of the mining, mineral and processing value chain to provide relevant information for optimisation of processing efficiencies, aid production planning, and minimise environmental impact. However, according to Victor Ross, of the University of the Witwatersrand, South Africa, a conceptually robust framework of the geometallurgical landscape with respect to flotation is still lacking. He described the development of a framework that captures the interactions between key parameters that pertain to the characteristics of the ore, its resultant comminution behaviour, and ultimately its flotation efficiency. A methodology to characterize the mineral feed to the flotation process, by liberation and particle size, was proposed by Paulina Vallejos, of Federico Santa Maria Technical University, Chile. This methodology considers a modification of the classical Gaudin liberation model, incorporating a grain size distribution for the mineral in the ore deposit. Results from previous research were analyzed to test and validate the new methodology. The characterization of the mineral was successfully reproduced by liberation and particle size and the results allowed the estimation of the mineral recovery profiles along an industrial rougher flotation bank both by liberation and by particle size classes. In what was essentially the first of a 3-part investigation, the other two papers being presented by posters, Nilce Santos, of UFMG, Brazil, showed how flotation recoveries per size liberation classes have been modeled using the particle surface area. The resulting model presented a very good adjustment for recoveries per size, and once it is directly connected to particle characteristics, the model showed in a direct way the effect of particle size and liberation on flotation. Nilce's paper took us up to an extended coffee break, to allow the Applications Symposium poster authors to introduce their work, and for today's new registered delegates to talk to the exhibitors. Magotteaux Australia is a regular sponsor not only of the flotation series, but also the comminution series of conferences, and Chris Greet has represented the company at all these events, showing how comminution and flotation are intimately linked. He recalled that Cyril O'Connor once said that flotation is an excellent diagnostic tool to measure the effectiveness of a comminution circuit! In his presentation this morning he discussed the effect of a change in grinding medium, from forged steel to the superior wear resistance of high chrome white iron, at Oz Minerals Prominent Hill Mine, caused a marked shift in the pulp chemistry to more reducing conditions and an increase in the oxygen demand of the system. In terms of metallurgical response overall copper recovery was decreased by nominally 1.2 % as well as a drop in final copper concentrate grade. Following on from this theme, Jianyuan Liu, of the Beijing General Research Institute of Mining and Metallurgy, China, discussed how different milling procedures may result in different flotation responses. With co-workers from the University of Cape Town, two copper bearing ores from China were investigated in order to determine the effect of wet or dry grinding. The effect of point of addition of lime, used to promote the depression of pyrite, was also investigated. The milling was carried out in a Magotteaux Mill which allows reagent addition during milling as well as the monitoring of changes in parameters such as pH, Eh and DO. After wet milling, the ores yielded different concentrations of Cu and Fe in the pulp and also significantly different recoveries. Dry grinding also affected the behaviour of the ores differently. Flotation recovery is a function of the size distribution and associated mineral liberation produced from comminution, which is affected by classification. Classification in comminution is traditionally performed using hydrocyclones, but multi-stack screens, which achieve a better separation efficiency, are becoming a viable classification alternative. Juan Frausto, of the JKMRC, Australia, presented the evaluation of multi-stack screens at a silver-lead-zinc mine. The installation of screens made it possible to switch between hydrocyclones or screens as the classifier in the ball milling circuit. Analysis of survey information and historical monthly composite data showed that coarse particle recovery of both lead and silver significantly improves when using screens. The potential drivers were enhanced coarse particle liberation, improved reagent coverage on coarse particle surfaces, or a decrease in pulp viscosity of the flotation feed. Juan discussed the outcomes and implications for classification design. Improvement in the performance of a flash flotation cell can be achieved through optimisation of the cells flotation/classification profile via the manipulation of process operating variables such as feed rate, feed per cent solids, rotor speed and dual outlet flow. Bianca Newcombe, of OptFroth Solutions, Australia, presented the findings of changing the rotor speed on the internal hydrodynamics and valuable element (Au and Cu) performances in an industrial flash flotation cell. 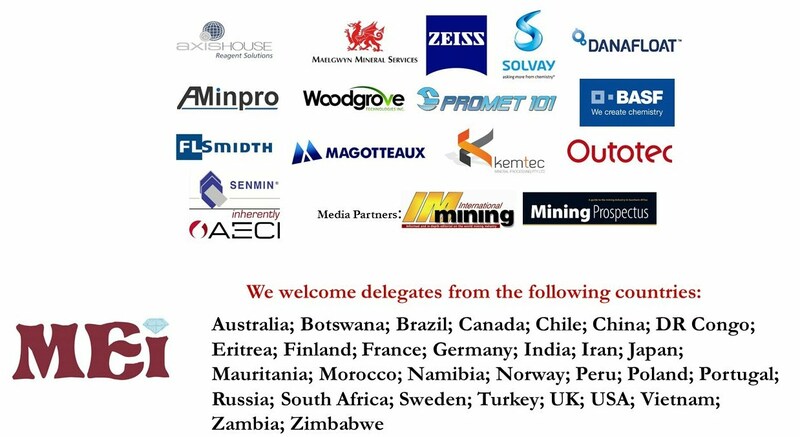 Conference sponsor FLSmidth, launched its nextSTEP™ rotor/stator technology during the annual Society for Mining, Metallurgy & Exploration (SME) conference in Denver, in 2015 (MEI Online). Bartosz Dabrowski, of FLSmidth USA, described the evaluation of the nextSTEP™ installation at a South American concentrator, a test program having been carried out to evaluate the hydrodynamic and metallurgical performance of the circuit, and particularly of the new rotor/stator. FLSmidth is in the final stages of discussions with the customer to obtain permission to present all data gathered during the evaluation. The mining industry has grown and developed over the years and has adapted itself to changing economic conditions. One of the changes has been the transition from cell-to-cell type to open flow type flotation machines. During the lunch break Pepe Wang, of Imperial College, UK was talking to the Metso team about the high aerating open flow type Metso DR flotation machine, developed specifically to meet modern requirements. The RCS flotation machine is the latest design to use the circular tank concept and combines the benefits of circular cells with the unique features of the mechanism to create the ideal conditions to maximise flotation performance for all roughing, cleaning and scavenging duties. The afternoon session was all about flotation machines, some of which are very large indeed. When I commenced my career in the minerals industry nearly 50 years ago I could never have envisaged the size of today's machines, which have reduced overall capital and operating costs and facilitated control and instrumentation. Hot on the heels of the FLSmidth SuperCell is Outotec's forced-air TankCell® e500 flotation cell, which was installed in 2014 at Kevitsa Cu-Ni-PGE concentrator as the first cell in the Cu rougher scavenger bank. After commissioning of the 500 m3 flotation cell the metallurgical and gas dispersion performance of the cell were investigated. Toni Mattsson, of Outotec, Finland, presented detailed results of the metallurgical evaluation and compared the gas dispersion performance of the TankCell® e500 with measurements carried out in smaller size TankCell® type flotation cells. Graeme Jameson, of the University of Newcastle, Australia, is, like our keynote speaker Prof. Yoon, a recipient of the IMPC Lifetime Achievement Award (posting of 15 September 2016). He is, of course, world renowned for his eponymous flotation cell, of which over 300 are now in operation in 25 countries. In his presentation today Graeme introduced a new froth flotation machine, known as the NovaCell. It can recover mineral particles over a wide particle size range, from the lower limit of flotation, to an upper limit which depends on the liberation characteristics of the ore. In a single device, the collection of the fines and the coarse particles takes place in separate environments. The finest particles are contacted with bubbles in a high-energy aerator, while the coarse particles are captured by bubbles in the gentle environment in a fluidised bed. Coarse particle flotation is a desirable aim, in order to reduce energy and water consumption, but work by numerous experts has shown that conventional flotation works well for a limited size range from approximately 15 to 150 microns. Particles outside this critical size range are typically lost in industrial operations due to inherent constraints associated with physical interactions that occur in the pulp and froth phases (i.e., turbulence and buoyancy constraints). To overcome these limitations, Eriez Flotation Division, USA, has developed and successfully implemented a new technology that combines fluidized-bed separation and flotation. The HydroFloatTM technology has been successfully demonstrated in sulfide applications for recovering coarse values from concentrator tailings. Other efforts have shown the positive benefit that can be derived from implementation directly in the concentrator using a split-feed approach. Jaisen Kohmuench of Eriez Magnetics, Australia, discussed the theory of operation of fluidized-bed flotation and presented data gathered from numerous lab- and pilot-scale test programs. Flotation performance in mechanical flotation cells is strongly influenced by hydrodynamics. This is largely driven by the action of the impeller which generates macro-turbulence thus affecting many of the sub-processes of flotation. The impeller’s ability to generate macro-turbulence may be characterized by hydrodynamic parameters such as the pumping capacity and dimensionless flow number. Thiago Souza, of Instituto Tecnológico Vale, Brazil presented an analysis of the impeller flow number in industrial Wemco mechanical flotation cells. Small bubbles are one of the drivers of good flotation performance by improving reaction kinetics. In addition to having small bubbles it is important to have high collision and attachment efficiency as well as high froth recovery. The Jameson Cell combines these features with its small footprint, efficient froth washing and low maintenance. Cleaner circuit design is now better utilizing the features of the Jameson Cell to improve cleaner circuit performance and several examples were given by Hans de Waal, of Glencore Technology, Australia, of how the Jameson Cell can significantly improve project economics and plant simplicity. Hybrid cleaner circuits represent a significant opportunity to improve metallurgical performance, reduce plant footprint and simplify plant operation. Hot batch flotation tests are often applied to reduce risks in plant trials as they combine the benefits of matching complex plant feed stream compositions with the high precision of lab scale batch flotation testwork. One of the weaknesses of hot flotation tests is the sequential nature of the testwork, where ageing of pulp samples can influence the data. When present this interference could at best generate inconclusive results, and at worst, inaccurate conclusions. To improve the reliability of test data, Francesco Bernadis described how CP Kelco of Finland has developed a novel, double batch flotation machine for conducting parallel hot flotation tests on live flotation streams. Liberated fine valuable particles are often lost to flotation tailings streams due to their low collision efficiency with air bubbles. A variety of processing strategies are employed to overcome this, including the use of micro bubble generators, dissolved air flotation, high energy flotation cells, and agglomeration of fines. More recently, focus has shifted to high shear cavitation devices, in which the feed slurry is intimately contacted with air in a high pressure environment, typically a series of venturi aerators. The low instantaneous pressure generated in the throat section of the venturi promotes cavitation and the formation of ultrafine bubbles on particle surfaces, which is believed to aid the recovery of fines. Victor Ross, representing Mintek, South Africa, showed how a high shear cavitation device has improved the flotation of fine PGMs. For decades, the conventional flotation machine has been the accepted tool for processing sulfide ores. As plant capacity increases, machine size has evolved to keep pace with the required retention times. However, the excessively large size of these machines requires extreme floorspace, foundations and power to operate. Recent work conducted by Eriez has shown that high-efficiency flotation machines which are based on focused energy input can achieve similar results in less than one-quarter of the flotation time, floor space and power. Comparable performance is achieved by intense contacting in a separate chamber which provides concentrated energy input specifically for bubble/particle interaction. When compared to conventional technology, data show that this novel approach can achieve the same recovery as a mechanical cell, but in a fraction of the residence time. Jaisen Kohmuench, of Eriez Magnetics, Australia, discussed the theory of operation of the StackCellTM and presented data from various lab- and pilot-scale test programs. In the final paper of the day Shi Shuaixing, of the Beijing General Research Institute of Mining and Metallurgy, China, described research on the influence of impeller pumping performances and gas accumulation effect on the fluid dynamics of an air forced and pulp induced flotation cell. After an intensive 10 hour day, it was good to adjourn to relax in the exhibition and poster area for the second of our "happy hours". More on day 3 in the posting of 15th November. Froth flotation is the best available technology for the recovery of fine particles. 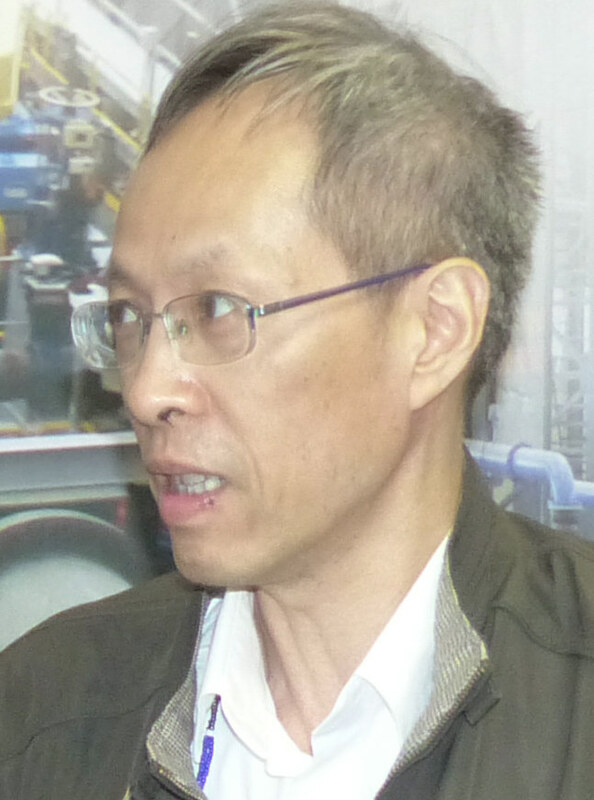 However, as highlighted by Roe-Hoan Yoon, of Virginia Tech, USA, its effective particle size range is limited to the range of 10-100 µm, indicating problems at both ends. In search of a solution to this problem, the possibility of using oil drops rather than air bubbles to recover ultrafine particles was explored during the 1960-70s. A fundamental advantage of this approach was that oil drops in general can collect hydrophobic particles with contact angles twice as large as with air bubbles. This concept known as two-liquid flotation (or liquid-liquid extraction) showed promising results. In work carried out at Virginia Tech, the two-liquid flotation process has been modified such that a recyclable oil, e.g., pentane or heptane, is used to recover ultrafine particles. The new process known as hydrophobic hydrophilic separation (HHS) has been tested successfully for the recovery of ultrafine coal particles at both the proof-of-concept (POC) and pilot-scale continuous tests. The new separation process has a special provision to minimize the entrainment of both gangue minerals and process water, so that the product is of high grade with very low moisture. Based on the successful pilot-scale test results, the Minerals Refining Company (MRC) in Richmond, Virginia, is currently in the process of designing the first commercial plant for the recovery of ultrafine coal from the waste streams generated in existing coal preparation plants. Along with Profs. Yoon and Jameson, Jim Finch of McGill University, Canada, is one of three holders of the SME's prestigious Antoine Gaudin Award. This morning he described how a downcomer, as employed in the Jameson Cell, was considered for producing solvent-coated bubbles for possible application in a technique referred to as “air-assisted solvent extraction”. Upon testing it was found that the bubble bed in the downcomer started to collapse upon introducing solvent, evident from decreasing air holdup, decreasing aspirated air rate, and formation of air slugs. Tests with hydrophobic solids, graphite and talc, gave increased bubble bed stability showing it is the liquid nature of the solvent that is the key factor causing the collapse. One combination, talc and MIBC, did provide stability against solvent addition. Jim discussed froth collapse/stability mechanisms and noted that the Jameson Cell is successfully employed to remove solvent droplets in SX plants. In order to save on costs, and provide additional income, mining methods have evolved, becoming increasingly complex. Inevitably, this has in some instances brought about variability in head grades feeding into mineral processing plants. Perhaps one of the biggest challenges for a PGM concentrator with a varying head grade is being able to produce the desired PGM grade at optimum PGM recovery. Fit for purpose grade analysers are starting to play an increasingly important role in achieving this goal. The success factors of grade analysers were discussed by Karen Keet, of Blue Cube Systems, South Africa. Rebecca Peacock, of First Quantum's Mauritania Copper Mine (MCM), presented a case study for the implementation of the SGS MET Expert System at MCM where challenges were faced due to instabilities in the copper flotation circuit resulting in final product and recovery variations. The flotation process was manually operated with Regulatory PID controllers highly dependent on operator set-point inputs. This required the operator's constant attention which was complicated by continuous changes in ore feed grade and characteristics. A decision was taken to implement SGS’s MET Expert System with the objective of reducing operator intervention, reducing process variation, improving process stability and hence improving the grade-recovery curve and product quality. As stressed by Juha Timperi, of Outotec, Finland, accuracy and availability are the most important properties of an on-line analyser. Real-time measurement information provided by the on-line analyser enables potential for more efficient flotation process control and thus higher concentrator recovery. However, this potential cannot be realized if accuracy or availability of the analyser system is low. Juha described the Equipment Health Indicator, which provides automatic reporting of different components of the on-line analyser system including analyser probe, multiplexer units and individual sample lines. Using this information it is possible to focus maintenance actions to problematic areas and to systematically improve overall availability of the asset. Image-based soft-sensors are popular due to their cost-effective and non-intrusive properties. Images are high-dimensional, requiring the use of feature extractors to produce low-dimensional representations. Such feature extractors have a large impact on final soft-sensor performance. Traditional texture feature extraction methods consider limited feature types, requiring expert knowledge to select and may be sensitive to changing imaging conditions. Alternatively, deep learning may mitigate these drawbacks. A specific deep learning architecture, Convolutional Neural Networks (CNNs), described by Zander Horn, of Stellenbosch University, South Africa, lessens the curse of dimensionality inherent in fully connected networks but must be trained unlike other feature extractors. This allows features to be discovered. A platinum flotation case study provided froth images at several distinct platinum-grades. Extracted feature sets were used to train linear and non-linear soft-sensor models. CNN feature quality was compared to traditional texture feature extraction methods and found to be competitive, showing similar performance to the best traditional methods. During the break, Jon called in at the Maelgwyn Mineral Services (MMS) booth to finalise their sponsorship of Flotation '19. MMS is a regular sponsor of MEI Conferences, and the company has recently celebrated its 20th anniversary of supplying its innovative V and G-Cell pneumatic flotation plants into the minerals processing industry. Pneumatic flotation is generally associated with flotation where the aeration of the pulp takes place outside the flotation cell. This is the main differentiating factor between pneumatic flotation and conventional tank flotation. The energy required by conventional cells to keep particles in suspension and generate bubbles is now focused solely on the production of very fine bubbles, and the suspension of particles is catered for in the surplus energy of the system. MMS claims that the Imhoflot is the most energy efficient flotation cell on the market in converting energy input into mineral collection. The external aeration is usually achieved either by utilising a simple venturi system in a pipe with down comers or in the case of Imhoflot by using specialised fine bubble generation technology. The adoption of a common approach to the scale-up, modeling, and simulation of mineral flotation circuits has been hindered by the inability to agree on a standard procedure for laboratory flotation tests, including their interpretation methods. The discord stems, in part, from the inability to estimate the recovery of mineral particles by hydraulic entrainment (Re) and the recovery of collected mineral particles across the froth zone (Rf). For lack of alternatives, most practitioners ignore entrainment (Re=0) and assume that froth recovery is 100% (Rf=1). As a consequence, differences in test scraping frequency or froth characteristics can lead to large differences in the inferred collection kinetics. Peter Amelunxen, of Aminpro, Peru, suggested resolving the problem by incorporating a phenomenological solution for Re and Rf. By considering the test water balance, incorporating hindered settling theory, and making some simple assumptions regarding pulp, interface, and froth phases, it can be shown that the entrainment recovery of any mineral can be aproximated from the particle size, shape and specific gravity. A similar approach can be used to estimate the froth recovery as a function of time. Flotation circuit control is typically based on regular on-line elemental analyses. In base metal applications the conventional assaying method is X-ray fluorescence (XRF), which has proven to be reliable and accurate technology. However, in large flotation plants with many sample streams to be analyzed, the measurement frequency for individual assays decreases because a centralized XRF analyzer can only measure one stream at a time. This results in unnecessary delays that reduce the control performance. However, by integrating reflectance spectroscopy measurement with the conventional XRF technology, a practically continuous assay can be obtained. Iita Kejonen, of Outotec, Finland, showed the advantages of improved analysis cycle to process performance via faster automated higher level flotation circuit control. This technology enables capturing and reacting to grade fluctuations that may have been missed with longer measurement intervals. Moreover, response time to drastic changes in flotation circuit operation is significantly reduced which results in better process performance. Froth flotation is a complex multiphase process with various disturbances that impede optimal operation and control. Robbie Brown, of Stone Three Mining, South Africa, explored how supporting information from froth sensors may be used in conjunction with plant variables to calculate individual cell metrics that prove useful in control. Pierre Hofmeyr, of Innovative Metallurgical Products (IMP), South Africa, reviewed recent developments which allow collected slurry samples to be transported rapidly using compressed air to a collection station in a laboratory where a number of sample preparation and analytical procedures can be carried out. These include automated filter pressing and drying, sample mounting and X-ray Diffraction (XRD) to determine mineralogy, X-ray Fluorescence Spectrometry (XRFS) on pressed powder pellets and fusion beads to determine major and minor elements and fire assay to determine Au and PGEs in all plant process streams. In particular, a new automated fire assay system called FIFA 2 has been developed which has lowered the detection limits for Precious Metals by an order of magnitude. The recovery of oxide copper minerals by flotation is a longstanding challenge in the minerals industry, especially for ores not economical for direct acid leaching. Current practice involves sulfidization using NaSH or Na2S followed by flotation using traditional sulfide collectors. Controlled potential sulfidization has been shown to improve recovery of oxide Cu but is not a satisfactory solution because of health and safety issues, high consumption of NaSH, and inability to recover minerals refractory to sulfidization. Numerous collectors have been evaluated for direct flotation (i.e. without sulfidization) of oxide Cu minerals, the most researched of which is alkyl hydroxamate. 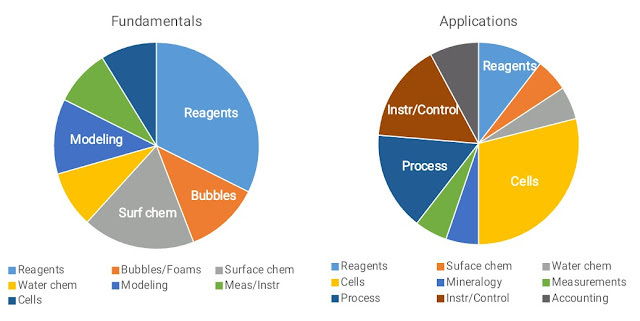 While there are numerous publications dealing with the fundamentals of interaction of hydroxamates with single minerals, few publications discuss practical aspects of hydroxamates use in ore flotation, particularly with sulfidizing agents. Tarun Bhambhani, of Cytec Solvay Group, USA, presented case studies which included methods to identify combinations of sulfidizing agents and oxide collectors to maximize recovery for various types of ores. Carbonaceous minerals in base metal sulphide ore deposits present a challenge during flotation due to the hydrophobic nature of organic carbon. Many depressants, including starches, have been trialled to depress carbonaceous minerals, but their selectivity is often limited. A carbon pre-float process where only frother is added to remove carbonaceous minerals is sometimes used prior to flotation. But this process either recovers limited organic carbon or excess sulphide minerals which display collectorless flotation when mild oxidation occurs. Brenton Fletcher, of the University of Queensland, Australia, took us up to the lunch break by showing how wheat starch polymers have been modified in terms of their molecular weights and chemical functionality to selectively depress organic carbon during chalcopyrite flotation. Reprocessing of tailings dams is not only environmentally desirable but also increasingly economically feasible due to lower cut off grades. There is also the added benefit of no further milling being required prior to flotation. However, the effects of fine and ultrafine particles on froth stability are not yet fully understood. Isobel Mackay, of Imperial College, UK, described work using a modified AMIRA laboratory flotation column to investigate changes in dynamic froth stability with variations in particle size distribution and air flow rate. The findings provide a better understanding of the effects that air flow rate and particle size, particularly in the fine range, have on froth stability. Strategies to enhance tailings flotation through improvements in froth stability were also discussed. The synergetic effects of nonionic reagents with carboxylic collectors was applied in the processing of the Tabuaco tungsten skarn ores in Portugal. 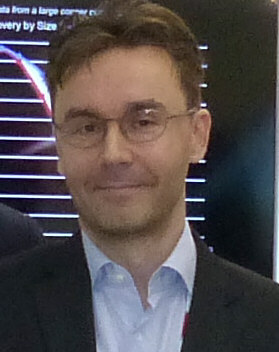 Lev Filippov, of the Université de Lorraine, France, showed how the new reagent formulation allowed the production of a tungsten concentrate after only one cleaner stage, which can be processed by hydrometallurgy without additional use of thermal treatment or activating heavy metals salts or specific depressants. Nickel is an important metal with total global consumption of 2 million tons per year. It is sourced from sulphide and laterite ores. Laterite ores are often complex and expensive to treat using conventional methods. While 70% of the nickel resources are contained in laterites, only 40% of the world's nickel production comes from these ores. Therefore, upgrading the nickel content in laterite ores ahead of any recovery processes is economically desirable, as discussed in a further paper from Université de Lorraine, presented by Saeed Farrokhpay. At present flotation has not been successful to recover nickel from these ores. Nickel laterite deposits are generally divided into limonite (oxide), nontronite (clay), and saprolite (silicate) zones. A systematic study was conducted on the ore samples sourced from these three categories to see the effect of different mineralogies on the flotation behaviour of laterite ores. Pre-concentration of laterite ores by flotation was found to be possible, but it is highly dependent on the ore mineralogy. 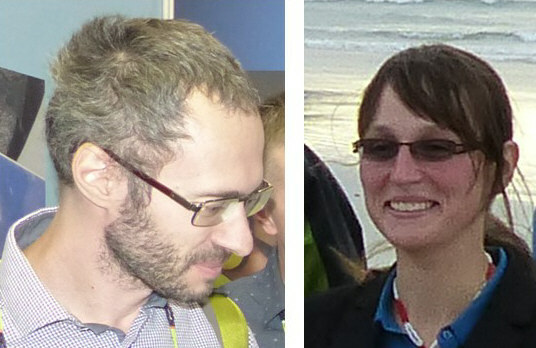 BASF representatives next presented two papers on the flotation of apatite ores. Rostislav Kamkin, of OOO BASF, Russia, described the development of a fatty acid modifier for beneficiation of the igneous apatite ores of Kovdor deposit, situated in Murmansk near the Finnish border with Russia, and Dorival Neto, of BASF, Brazil described experimental design to optimize BASF’s collector performance in apatite flotation. To increase the sustainability and cost effectiveness of their operations, Kevitsa Mining Oy, in collaboration with academic research partners, aims to develop a holistic approach to water management in its mineral processing operation. 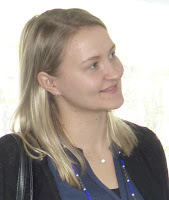 Nora Schreithofer, of Aaolto University, Finland, described one of the first steps taken in this process, namely the monitoring and control of residual collectors. Kevitsa Mining Oy, a Cu-Ni-PGE concentrator, recycles 90-95% of its water for use in the plant. The quality of recycled water tends to deteriorate as various elements and compounds such as Ca, Na, Mg, K, SO42- and residual reagents accumulate. The accumulation shows seasonal cyclic variation that has an impact on flotation performance. In the final presentation of the conference, Ghislain Bournival, of the University of New South Wales, Australia, discussed the analysis of water quality variation in the tailings stream of a Jameson cell operating at a coal preparation plant. Water quality data collected over two years was used for the analysis. In addition to conductivity, particle density, frother dosage and the cell operating parameters were also recorded to investigate the influence of process water composition on the flotation performance. Data analysis revealed a considerable variation in the water quality. It appears that conductivity follows seasonal patterns although a strong correlation between the rainfall and conductivity was not evident from the study. Before presenting the two student poster awards (postings of 16th November and 20th November), MEI Consultant Jim Finch rounded off the conference with a quite superb summary of the four days. His pie-chart shows the breakdown of subject areas in the Fundamentals and Applications symposia, the former being driven by the need to understand the processes, the latter mainly by energy, water and social license. 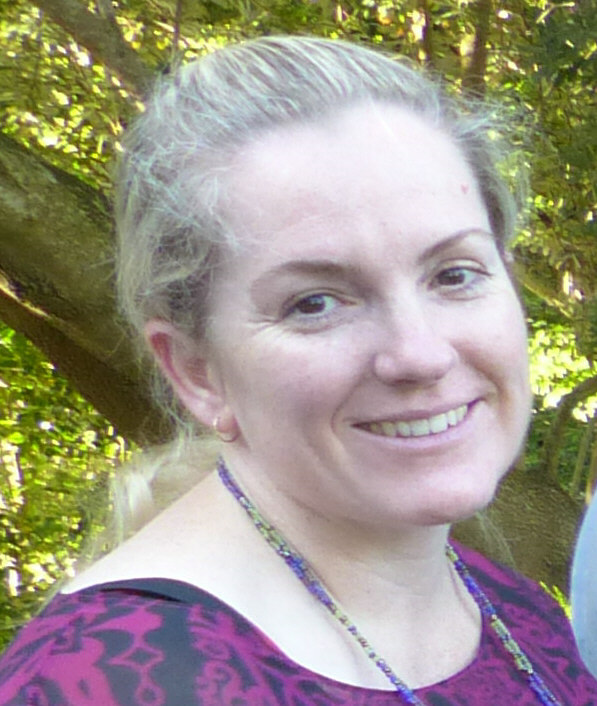 MEI's Amanda Wills closed the conference and invited everyone to reconvene for Flotation '19 at the Vineyard again, in November 2019, after which we gathered in the late afternoon sunshine for the final farewell wine function. More on Day 4 in the posting of 16th November. At the beginning of the conference I asked two questions: how important is flotation, and are there still innovations in the process, which was patented over 110 years ago. The answer to the first question is that flotation is crucial not only to the mining industry, but to civilisation as we know it. As to the second question, this conference has shown that flotation research is vital and that the process must continually evolve to face new challenges. The papers presented during the four days collectively provide a real state-of-the-art volume, and all the oral papers, and around 30 of the poster papers are available on USB from MEI Online. Selected papers will be published in a special issue of Minerals Engineering after peer-review. A full set of MEI high resolution photos can be found by clicking here.